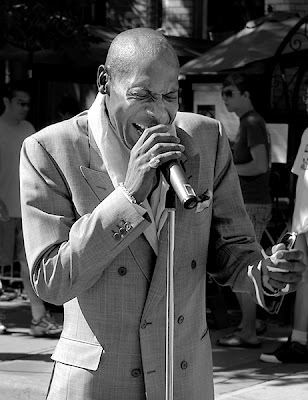 Not only did this guy look like a blues singer, he sang the blues. Has he a name? I hope you're not his promoter! No, I'm not his (or anyone else's) promoter. He looks like Jimmi Walker.